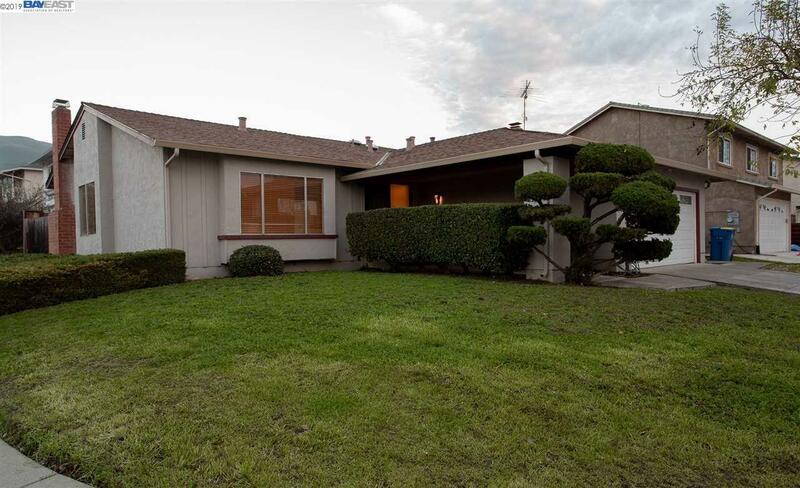 Charming, one level, three bedroom, two bath home on a 6,700 foot lot in the quiet, sought after neighbourhood of Foothill Estates off East Calaveras Boulevard, with easy access to Interstate 680. This home has had many recent upgrades, including new flooring, new interior paint, new kitchen cabinets and counters, and much more! Vaulted ceilings in the Family Room give it a spacious, light filled feeling. There is a two car attached garage as well as a curb cut and driveway to the back yard allowing additional parking for a vehicle, RV or boat!